All kitchens need to be kept in a hygienic state because unhygienic kitchens are a breeding ground for bacteria and disease. But whilst it is important to keep your own kitchen nice and clean, it is even more essential if you are operating a commercial kitchen. Imagine how catastrophic it would be if your kitchen was filthy and then you had a visit from an Environmental Health inspector? 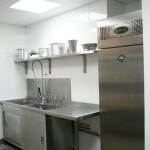 Hygiene is essential in commercial kitchens. Obviously commercial kitchens, like all kitchens, need to be cleaned regularly, but one way to avoid a build-up of dirt and grime is to make sure surfaces are easy to wipe down and resistant to bacterial growth. Smooth surfaces are far easier to disinfect and clean, which is why plastic wall and ceiling cladding is much better than more traditional surfaces such as ceramic tiles and painted plasterwork. Plastic Proclad panels can be bleached and wiped down. Grout between tiles and uneven edges are a magnet for dirt. If you opt for smooth, plastic cladding, you don’t need to worry about scrubbing the grout clean with bleach or picking bits of food and dirt out from between tiles and uneven joins to worktops or walls. Walls and wooden panelling are susceptible to damage from heavy machinery, tools and furniture. It doesn’t take much to leave a dent in a plaster surface or wood panel, which in time will need repairing or it will attract extra grime and dirt. Proclad panels are extremely hard wearing and resistant to any type of impact, which makes them a great choice in a busy commercial kitchen. If someone accidentally bangs a piece of heavy equipment into a wall, it won’t matter if that wall is clad in Proclad panels—you won’t notice a thing. Old paint and plasterwork sheds flakes and microscopic bits, which in a food preparation area is less than hygienic. Imagine how unpleasant it would be if you were creating some delicious dishes for customers, only to belatedly discover that the wall above the worktop was shedding paint flakes like dandruff. With Proclad, you don’t have to worry about a thing because Proclad is a non-shedding material. Fires in kitchens are not uncommon, particularly in commercial kitchens where a lot of people are working in a confined space, which is why fire blankets and small extinguishers are essential. In fact if you don‘t have these, you could be prosecuted. Most small fires are easily extinguished, but if there are lots of flammable materials around, a small fire can soon get out of hand. Proclad wall panels are fire retardant, so if a fire does break out, at least it won’t spread via the kitchen walls. Check out some commercial kitchens in your area and you will probably see Proclad wall cladding in place of traditional ceramic tiles or plaster walls. Proclad is the wall cladding material of choice for many restaurant and food preparation businesses, so if your kitchen needs a refit, Proclad is the perfect solution. This entry was posted in Hygienic Cladding on February 21st, 2014 by IPSL. Businesses and commercial operations have to fulfil their legal obligations to the letter. Commercial kitchens, food processing businesses, hospitals and the like, need to have hygienic and sanitary premises. They can’t afford to be lax about cleaning or they could be prosecuted or even shut down. Poor hygiene can lead to illnesses or even death, which is why buildings need to be properly fitted out. So what are the advantages of wall cladding over ceramic tiles or painted walls? Why Must Businesses Be Compliant? 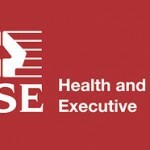 Health and safety regulations are there to protect employees and members of the public from coming to a sticky end. Sadly there are plenty of businesses out there that pay no attention to health and safety regulations whatsoever, but if you want to run a legitimate business, you need to be compliant with current health, hygiene and fire safety legislation. If you are not, it is only a matter of time before someone falls ill or you are prosecuted. In a regular kitchen or bathroom, you probably wouldn’t give much thought to the walls, apart from hoping that they are sufficiently waterproof and damage resistant. You might use ceramic tiles to protect the walls, or even just give them a lick of paint. But in commercial premises, hygiene, cleanliness and fire safety are massive issues that you can’t ignore, and in this instance, hygienic cladding is the perfect solution. Food hygiene – Wall cladding products such as Proclad meet all EU food hygiene regulations. Easy cleaning – Quality wall cladding is smooth and therefore very easy to wipe down, clean and disinfect, which is invaluable for kitchens and medical premises. Non-shedding – Painted surfaces shed microscopic particles, especially if the surface is damaged in some way. Quality wall cladding panels are made from a non-shedding material and are therefore an excellent choice for a food processing or hospital environment. Fire ratings – Proclad and other high quality wall cladding materials are Class 0 and 1 Fire rated, which is ideal for commercial food premises (or any other type of commercial premises) where fire safety is essential. Proclad is the best wall cladding solution for commercial premises. It is a made from high grade PVC and can be supplied in a range of different colours. Proclad comes in four different grades, which means all types of commercial premises are covered. Proclad can be used in commercial kitchens, canteens and even hospitals. Depending on the grade you choose, it offers antimicrobial and strength at low temperatures, plus it is Class 0 and 1 Fire Rated. Fire safety is very important in all public buildings and commercial premises. Building materials have to be fire resistant in order to conform to building regulations and fire safety legislation. After all, it would be pretty dangerous to have a commercial kitchen built from materials that were highly combustible. Proclad wall and ceiling panels are fire resistant when attached to a non combustible surface. Wall and ceiling cladding panels can be used in all types of premises, commercial and domestic, but it is in the food processing or medical environment that they really come into their own, so if you are planning a re-fit, consider using Proclad. This entry was posted in Hygienic Cladding on February 5th, 2014 by IPSL.